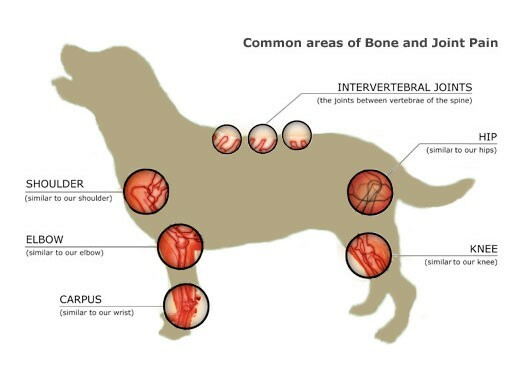 Your pet has been diagnosed with osteoarthritis. What to do? There is a multitude of medical and/or surgical options available. At Jacobs Well Vet Surgery, we will discuss with you those which best suit you, your friend and your budget. Cartrophen injections are given as an initial course every 5-7 days for four injections. For convenience, we find prepaid Cartrophen injections work best. Cartrophen acts by increasing the thickness of the joint fluid and repairing damaged joint cartilage. These are direct effects and take 3-4 weeks to work.